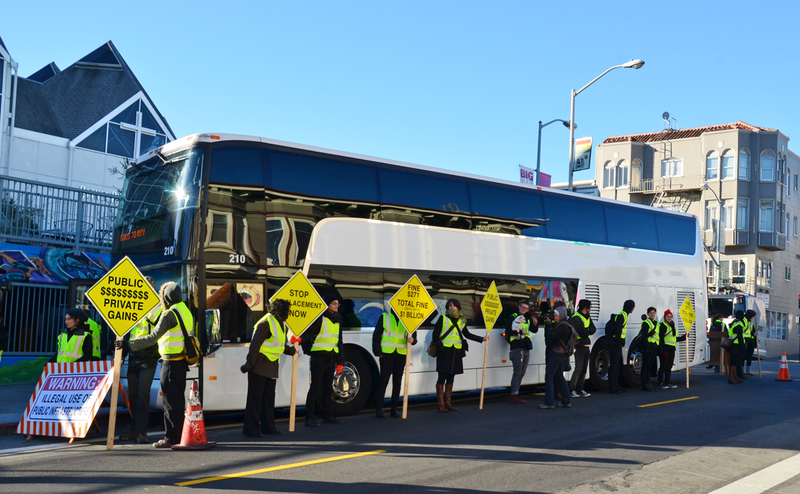 Heart of the City, Google Bus Action, performance and public demonstration, 24th Street & Valencia, San Francisco, CA, March 25, 2014. Photo by Michelle Ott. A series of lively, thoughtful and informal discussions about art and social justice, politics and aesthetics. Participants come together around a recommended reading to keep conversations about art and social justice in the Bay Area lively and relevant. The Art & Activism Book Club meets at various locations around the Bay Area.